Benny's back, plenty of Doctor Who Short Trips (and special offers on the Short Trips!) and more information about our latest Big Finish Original. Don't miss any of the news in the Big Finish roundup. At the time of writing there are special offers on Doctor Who Short Trips to celebrate the release of some new Short Trips Rarities. Get these offers at https://www.bigfinish.com/shorttripsoffer and use access code STORIES2018 (upper case) to access. These special offers will last until 23:59 (UK time) on 1st October 2018, so don’t miss out! Five previously exclusive Short Trips adventures read by actors very familiar to Big Finish listeners have now been released under the Short Trips Rarities range, to give the chance for a wider audience to enjoy them. These Short Trips Rarities releases are available at £2.25 each on download, only from Big Finish. Coming out this November, the story details and trailer for the new box set Doctor Who – The Seventh Doctor: The New Adventures were released Monday. Sylvester McCoy’s calculating and comedic Seventh Doctor returns in November with two companions from the Virgin Books’ New Adventures of Doctor Who: Yasmin Bannerman plays Roz Forrester and Travis Oliver plays Chris Cwej. Two three-episode full-cast box sets have been released Tuesday to celebrate the 20th anniversary of the archaeologist and Doctor's companion, Bernice Summerfield. Time travel! Earth invaded! A wedding! Drahvins! The Valeyard! Archaeology! It’s the perfect celebration for 20 years of Bernice Summerfield with this latest double bill of box sets starring Lisa Bowerman and Emily Laing as Professor Bernice Surprise Summerfield. In a terrifying tale by writer AK Benedict, The Hunting Ground is set in the present day, and particularly for fans of crime thrillers, this isn’t a story to miss. Read up more on Wednesday. Doctor Who – A Small Semblance of Home came out Thursday, narrated by Carole Ann Ford who played the Doctor’s granddaughter, Susan. It’s become his obsession. 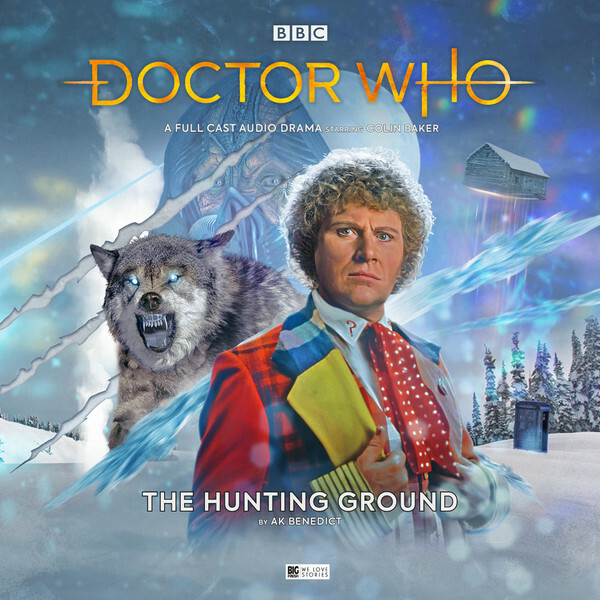 Through the hottest of deserts and the coldest of snows, the TARDIS crew have searched for the one remaining piece of the Doctor’s most important experiment. But now Barbara’s exhausted. Why hasn’t the Doctor learned his lesson? What’s so important that his scientific curiosity outweighs the safety of the crew once again? And will his latest arrogant trespass be the last he ever makes? On Saturday we chatted to Nigel Fairs, producer behind the latest of our Big Finish Originals, Shilling & Sixpence Investigate. We chat about bringing David Warner and Celia Imrie onboard, the impressive multi-roling cast and adapting the stage play for audio. And that’s the week’s news. Stay in the know by following us on Facebook, Twitter and Instagram.